Ruby gemstone also is known as Manik stone. It is designated as the Ruby king of Gemstones associated with the Sun. It helps in developing the mind power of a person. The gemstone hardness is measured on a scale known as the Mohs scale, which assigns minerals a value between 1 (softest) and 10 (hardest). The hardness of Ruby gemstone is 9.00 on the Mohs scale of hardness. The beautiful deep red color and cut of the rubies have made ruby gemstone a prized jewelry possession since ancient times. Due to its excellent color and quality women craves the ruby stone in gold and diamond jewelry in the forms of rings, earrings, necklaces. Real ruby stones are used to make jewelry with the gems cut into different shapes. The gemstone which absorbs or reflects more wavelength of light, that the gemstone is an opaque gemstone. The Translucent gemstone can emit enough wavelengths that can be seen through it. A transparent gemstone is translucent and transmits light with little scattering. This allows us to light passing through transparent gemstones. Translucent rubies are clear, extremely valuable and rare, whereas the Opaque rubies have so many inclusions that it is impossible to see through the stone. There are white, silky strands of the mineral rutile running through and bunching together inside the gemstone. The more rutile, more the rubies will be termed as Opaque Rubies. Opaque Rub gemstones are less expensive than the Translucent Rubies. 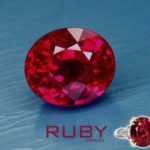 There are also more chances of breakage of opaque ruby jewelry as the inclusions present in these rubies make them less durable. It refers to activity that the inclusions or objects which are difficult to see through the ruby gemstones. Light can pass through the stone, but it is somewhat diffused. 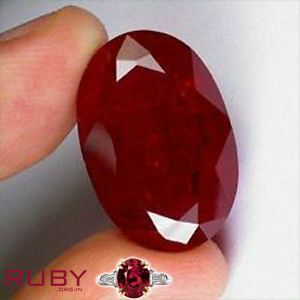 Ruby with the perfect clarity is difficult to find as most of the rubies have inclusions in them. If one has a relatively clear ruby stone with very few inclusions then that stone termed as a very valuable gemstone. 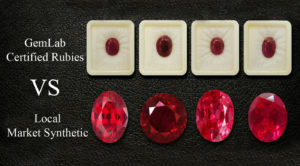 Natural rubies are not supposed to be perfectly translucent, but they should be relatively clear. A mined ruby with a few visible inclusions would be more expensive than the Diamonds. Opacity describes that how opaque is the gemstone is. An opaque is completely impervious to light which means that you cannot see light passes through it. Opaque rubies are more difficult to facet because of their tendency to break during the faceting process. Very opaque rubies are occasionally used in less traditional jewelry. Transparency refers to the inclusions or objects that look clear and distinct through the gemstone. 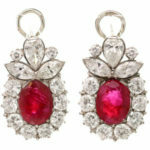 These rubies usually have excellent brilliance despite any ruby gemstone inclusions they may have.